I must admit that when I started blogging I expected nothing less than a major book/movie deal to result from my posts. 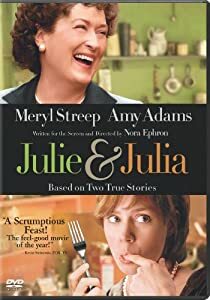 I didn’t really read blogs, but I had just finished Julie & Julia and it seemed entirely possible to make a career out of blogging. After about six months of consistent blogging, I had about forty followers; not nearly enough readers to warrant a six-figure book deal. I viewed WordPress‘ Freshly Pressed page every day and wondered how I could get featured. Honestly, I envied other blogger’s success. After about a year of blogging, something had changed. I really enjoyed writing, and looking back at old posts. 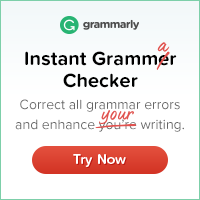 I enjoyed reading other blogs, and building a network of online writers. I forgot about my lofty, and ridiculous goals, because really they weren’t serving me. And then yesterday, on my birthday, I was notified that my post would be on Freshly Pressed. I’ve been nominated for the One Lovely Blog award (not to be confused with the Beautiful Blogger award) by Of Mind or Matter; a beautifully written blog featuring philosophy, poetry, and a whole lot of humanity. Check it out! 1. Thank and link back to the person that nominated you… thanks again to Of Mind or Matter! I’ve eaten at some of the nicest restaurants in NY (Bluehill, Elevan Madison Park, Aldea), but nothing is as good as a greasy bacon, egg and cheese sandwich from the deli – and it needs the bright orange American cheese that melts like plastic 🙂 I’m drooling. Here are the five countries I’m itching to see: Peru, Argentina, Ethiopia, Germany and Thailand. I’m a literalist. The first time I was punished and my mom told me I couldn’t leave my bedroom for the whole day, I went to the bathroom in the closet. When my parents discovered it I tried to blame it on my cat. All Mike has to do to make me cry is say the name of a sad movie and the waterworks will start. The first time I watched a sad movie with him, I couldn’t walk home I was crying so hard. At first he tried to comfort me, but when he realized there was no help for me he started cracking up. People passing by were giving him dirty looks for being so insensitive. My superficial dream is to one day be able to get my entire wardrobe from Anthropologie (before things go on sale). I over use exclamation marks. It’s gotten so bad that when a normal person uses an exclamation mark have to use 4. I usually end up rereading my emails and replacing some of them with happy faces!!!! Here is my diverse list of nominations. All are great site’s and are worth a visit so check them out.